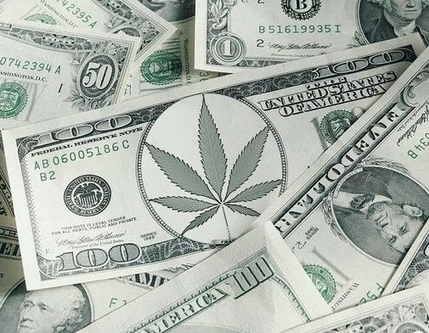 The new California taxes on recreational and medical cannabis purchases have us all worried. And rightfully so, they’re confusing, and place a huge premium on the price of products compared to what we’re all used to. It’s important you understand exactly what these taxes mean and what they’re for. A Local Sales Tax Too? All commercial cannabis is taxable (this doesn’t include recreational cannabis that you grow for personal use). The only exempt plant is industrial hemp; but it must be a very specific type, with no more than .03% THC in the dried flowering tops. As soon as a plant is harvested, it’s separated into buds and leaves, then weighed and taxed at a rate of $9.25 per dry-weight ounce of flowers and $2.75 per dry-weight ounce of leaves. All cultivators pay this tax when their cannabis enters the commercial market. Next, the buds and leaves move on to manufacturers who produce different products, test and send them back to distributors, or directly to distributors, who then test and distribute to retailers. This is where the excise tax comes in. All retailers who sell cannabis to the public are subject to a 15% excise tax. This toll is based on the average market value of the cannabis sold, not the actual amount it’s sold for. If you buy an eighth for $1, but the average market value is $30, you’ll pay 15% of $30, not 15% of $1. Where does the 15% excise tax go? The money collected for this mandatory tax isn’t just part of the general fund; it’s been specifically allocated by Prop 64. A part of the revenue goes to universities to study Prop 64’s impact and assess whether cannabis legalization affects other drugs and/or alcohol use. Another portion of this cannabis tax will go to the highway department to figure out testing for driving while impaired. Funds are also allocated to administer a community reinvestments grants program to local health departments job placement, mental health treatment, substance use disorder treatment, system navigation services, legal services, and linkages to medical care for communities disproportionately affected by past federal and state drug policies. Some is even being allocated to advance major research efforts into the efficacy, and possible adverse effects, of cannabis use. The results will give the federal government the information it needs to address rescheduling on a nationwide basis. The sales and use tax is the typical tax we pay when buying anything. The sales tax amount differs in all areas, depending on the local markups from counties and cities. In L.A. it’s 10%, in Visalia it’s 8.5%. No matter the amount, if you have a valid state-issued MMID card from your county, you don’t have to pay this cannabis tax. The ONLY people exempt from this tax are people with a valid MMID card. Prop 215 patients are not exempt if they don’t have the card. Customers also pay the tax if they buy recreational cannabis from a retailer who only has an adult-use license but no medical cannabis retail license. Clear as mud? Great, but there’s one final layer of cannabis taxes at the local level. There’s no way to generalize how much this tax will be. It’s written into the code for the county or city where you make the purchase. Despite being called “sales taxes,” these aren’t really the sales and use taxes MMID card holders are exempt from. They’re a tax on selling cannabis, and it’s up to the local government to decide whether they’ll exempt card holders or not. There may also be local additional cannabis taxes for cultivation, manufacturing or other taxes. The amount also varies widely. The California Department of Tax and Fee Administration (CDTFA) is actually freely admitting that their tax and fee laws can be complex and difficult to understand. If you’re confused about a specific tax, it’s best to get the answer in writing from their office. This’ll protect you from tax, penalties and interest in case they give you erroneous information. The information contained in this site is for general guidance on matters of interest only. All info here, or on third party websites we link to, is provided “as is”, with no guarantee of completeness, accuracy, or timeliness. In no event will Nugg, its related partnerships or corporations, or the partners, agents or employees thereof be liable to you or anyone else for any decision made or action taken in reliance on the information in this Site or for any consequential, special or similar damages, even if advised of the possibility of such damages. We here in Texas are watching your state very closely. I just hope we don’t have that many taxes to apply to sales here. Does anyone ever ask if Alcohol has the same taxes and for the same things? Maybe we should look into taxes on Sugar, Coke, Beef, chicken, .maybe even a fat tax, the more fat a product has or can produce in your body, the more we should tax it.! Maybe a cholesterol tax ? lol..We can all get healthy and stoned..lol..
We actually have bigger problems in Fresno. Unless something changed in the last few weeks (and that’s possible, the rules are changing fast), they have a total ban in the county. There are still some dispensaries operating under SB 420, but they have a clock ticking on them and will either have to shut down or sue the state by Jan. 9 2019. If you are a member of a compassionate collective in Fresno county, I don’t know that you would owe any taxes to the county at all, since they have banned it instead of enacting taxes. But there may be some other applicable fees depending on the relationship the collective has with the state. Now, Fresno looks like it will be allowing commercial medical in a few months. If you live in Fresno, you will likely get a chance to vote on a tax if you haven’t already. These local taxes generally need to be voted on before they can be enacted. For others who don’t have a ban, the only way to know what the local tax is and whether the county or city applies the local taxes to MMID card holders is to call the county or city and ask. We are working on adding local tax amount to the County policy article, which is being updated weekly at the moment, but there are several hundred municipalities to collect data on. Doesn’t surprise me that fellow Fresno county people are on here since the county (and city If i’m correct) have both come out against marijuana. So if i’ve got this right since I have a MMID card I’m not paying the sales and use tax that non-MMID holders would for rec use, and since the county has banned recreational use we aren’t paying these “local taxes?” This is a nice coincidence as the MMID holding consumers in the county aren’t paying really anything extra yet since the county has come out against supporting MMJ. I just did some reading up on the ordinance the city passed in December and they are allowing prospective marijuana businesses to pursue only state licensure at this time. Depending on what the city’s final word is, they have the final say on wether or not a business will get the green light. MJ Businesses in Fresno can still get a business license from the city but they are not able to operate yet. Final word is supposed to come in “three to four months” from December, so its a waiting game at this point. This turned into a long post but it was helpful for me to explore the literature. Thank you for the info Nick 🙂 It’s going to take a lot of work and communication to organize this patchwork of regulations. I wonder if they have done an environmental impact report yet. If they keep raising the taxes (Like Ca. likes to do) it will drive the sales of Marijuana back underground. Mexico will reap the rewards of our dollars because of our greed..
Nobody likes taxes but that is the price to pay for having it legalized. The state wasn’t going to legalize it just to be cool. If the State of California gets greedy it will shoot itself in the foot as people opt to buy from the black market. And that will hurt the dispensary owners. Luckily the Fed still says that it’s a schedule 1 substance and recently announced they will enforce it. Why is this lucky? Because that curbs incentives for the big money to get in, such as big tobacco. Back in the 60’s, possession of an ounce or less was a felony with a 2 year sentence. Finding weed in the summer was difficult but in the fall the new crop would come in. Now the supply is steady, the prices are lower and consumers don’t go to jail for a small possession. You don’t want to go backwards, be happy with what you got. What is tax in calaverous cnty, ca. You aren’t going to believe this Lacynen, but Calaveras just voted to ban cultivation. Everything is on hold now. But they are hopefully going to have a vote on everything in June. Meanwhile, there is a 7% gross proceeds tax for medical cannabis, since they don’t allow recreational. 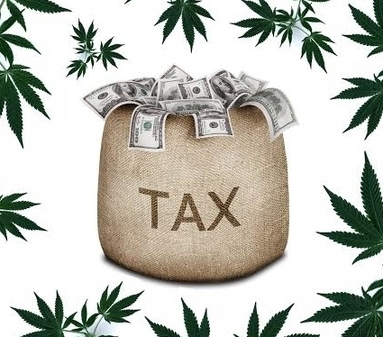 You can find the rates here: http://taxcollector.co.calaveras.ca.us/Portals/TaxCollector/Documents/FAQs/Cannabis%20FAQs%20Business%20Tax%202017.pdf Together with the 15% excise tax, if you have an MMID, your total tax rate should be around 22% If you don’t have an MMID, you have to add sales tax of 7.25% as well. But you will notice your cannabis prices are much higher than even that because there are other new taxes on the cultivation and manufacturing side also. Is there a site where we can find SPECIFIC total tax for our City/County? I live in Simi Valley (Ventura County), less than ten miles from Chatsworth (Los Angeles City and County). I know that my city and county have taken a conservative stance (they be scared sh*tless of the devil weed); my focus right now would be LA, specifically West San Fernando Valley.